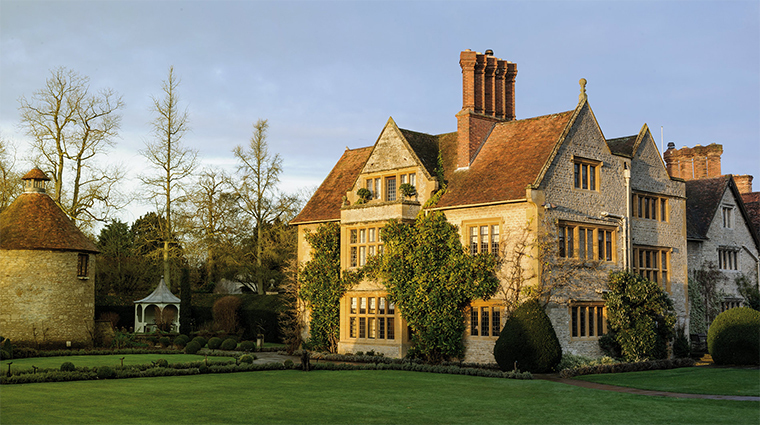 From the outside, Belmond Le Manoir aux Quat'Saisons looks like any other refined English country house hotel. But beyond the stone gateway, painstakingly landscaped gardens and historic architecture hides one of the U.K.’s most extraordinary culinary experiences. 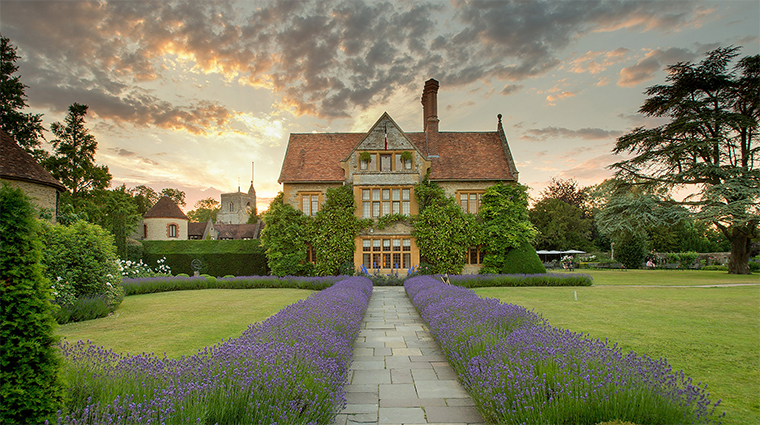 Renowned chef Raymond Blanc opened Le Manoir in 1984 as a triumphant follow up to his first restaurant, Les Quat’ Saisons, which he founded in Oxford in 1977. Just a 25-minute drive outside the historic university city where Blanc had his first professional successes, the hotel is also home to the Raymond Blanc Cookery School. Professionals are trained here but courses on everything from desserts and nutrition, to bread-making and dinner parties are available to guests, too. It’s hard to imagine a more gourmet place to stay. 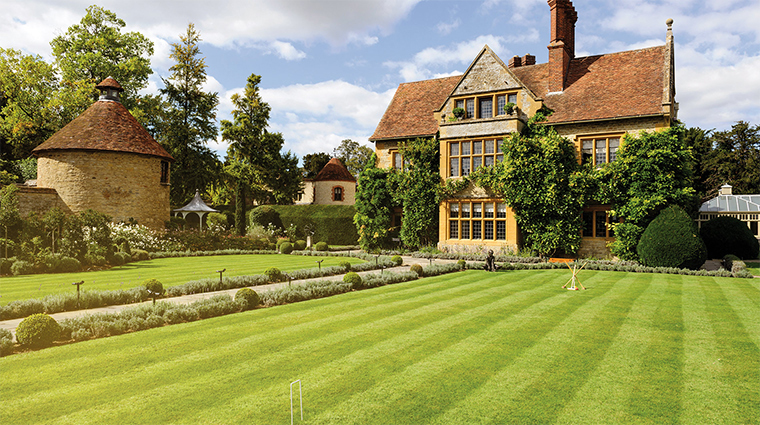 • While most country-house hotels have two or three restaurants, Le Manoir has just one—but you won’t hear anyone complaining. The cherished place has been winning over critics and customers’ palates since the mid 80s. 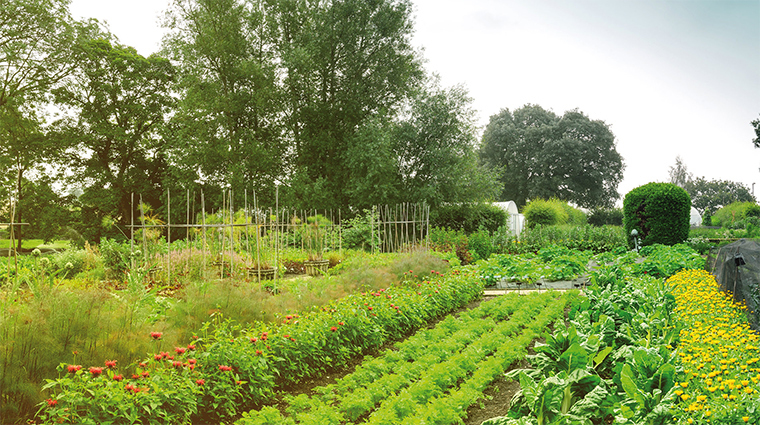 • Stroll through the huge vegetable and herb gardens, the 800-tree orchard and the valley of mushrooms to catch a glimpse of the produce that ends up on your table. 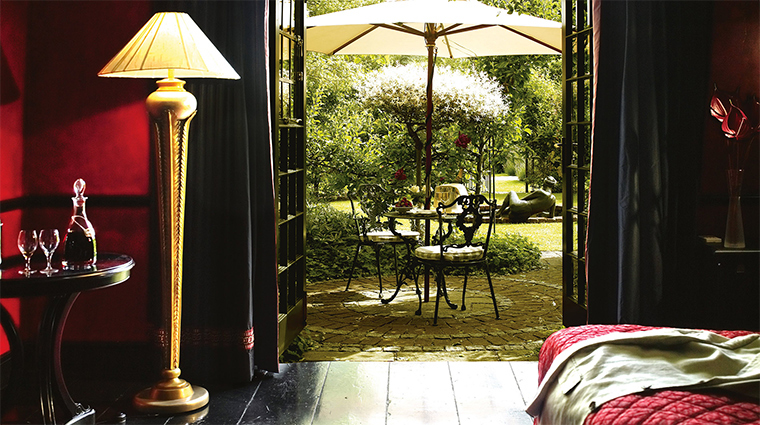 • Elsewhere – the luxury hotel is set on 30 acres of pretty Oxfordshire countryside – you’ll find a calming Japanese tea garden and a water garden fed by natural springs that dates back to the 16th century. 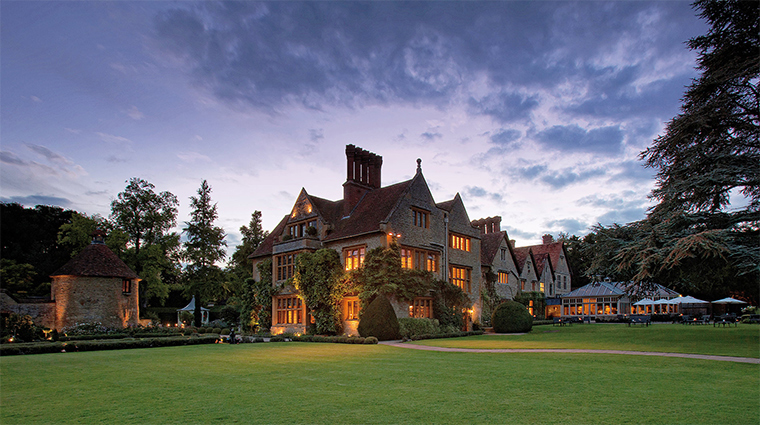 • Thoughtful touches such as in-room spa treatments and a selection of amenities for children (in-room toy boxes, Nintendo Wiis and kiddie bathrobes) ensure that a stay at Le Manoir is as relaxing as it is delicious. 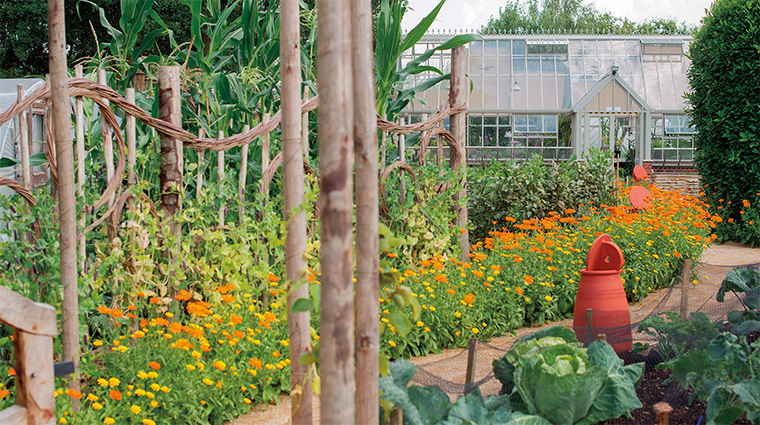 • During your garden stroll, don’t forget to look out for the bronze scarecrow modeled after Raymond Blanc himself. • Further afield of the hotel are the museums and historic architecture of Oxford, the U.K.’s oldest university city. 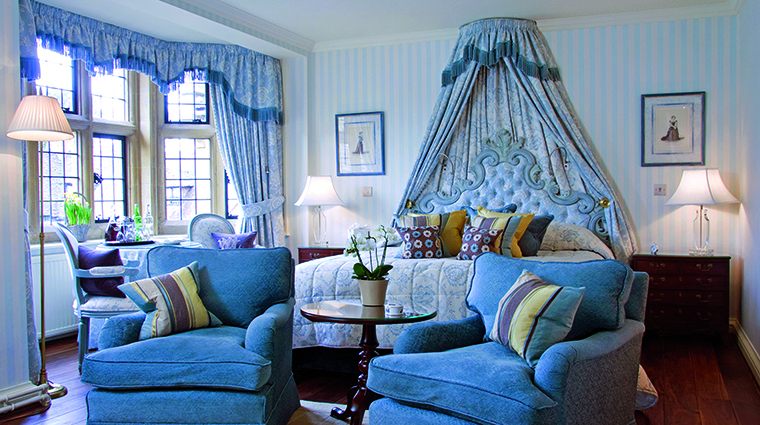 • Each of Le Manoir’s 32 rooms and suites is different from the next, their décor inspired by Raymond Blanc’s travels – a touch of the east here, classic French interior there. 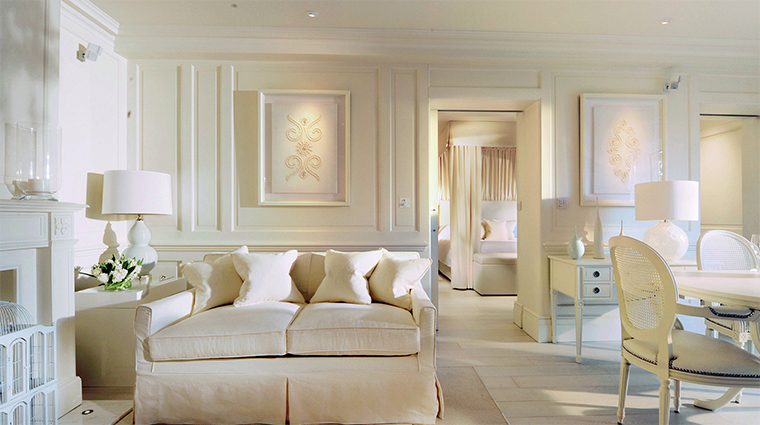 • Romantics will love soaking in the twin, free-standing Victorian bathtubs in the Botticelli room, and art aficionados will go wild for the Vettriano suite, which boasts two original works by the Scottish artist. • The Dovecote is the most unusual of them all, located in the estate’s original 15th-century bird shelter. • Executive chef Gary Jones is in charge of a kitchen that’s been a training ground for the likes of Heston Blumenthal and Marco Pierre White, overseeing both tasting and à la carte menus that have wowed every restaurant reviewer in the business. • Food here is classic French – think chilled gazpacho or veal kidneys with a red wine jus – with the occasional inspired twist — the braised fillet of turbot, for example, comes with wasabi. 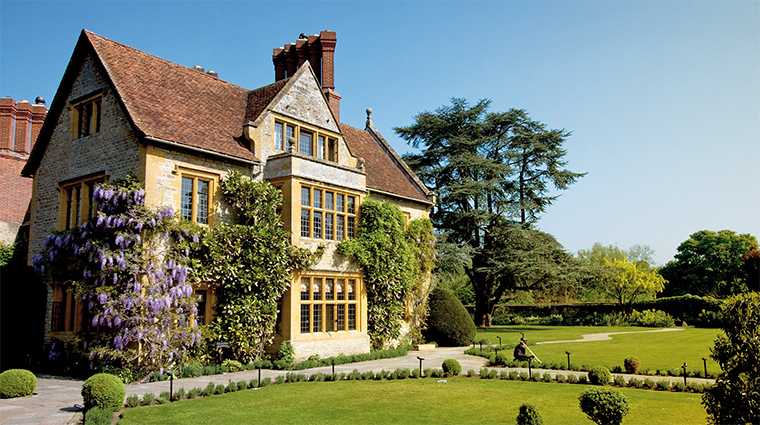 • Aside from the flawless cooking, what makes Le Manoir so special is the fact that almost everything comes from the Oxford hotel’s vegetable and herb gardens, orchards and mushroom valley.